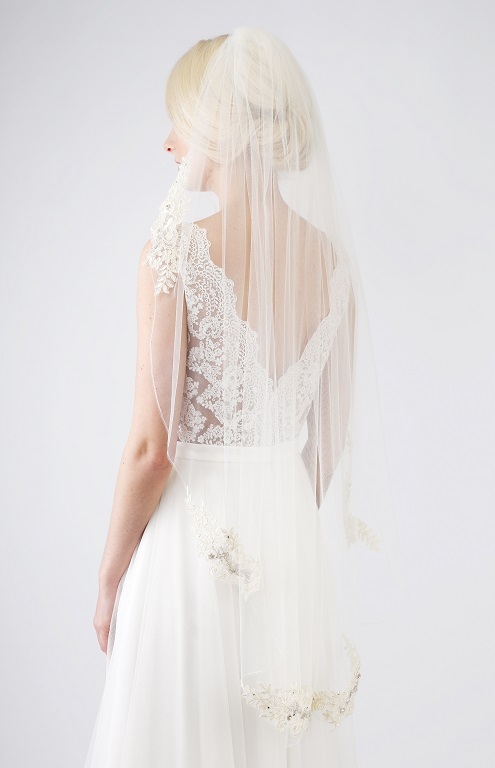 Single tier veil with softly scalloped edge. 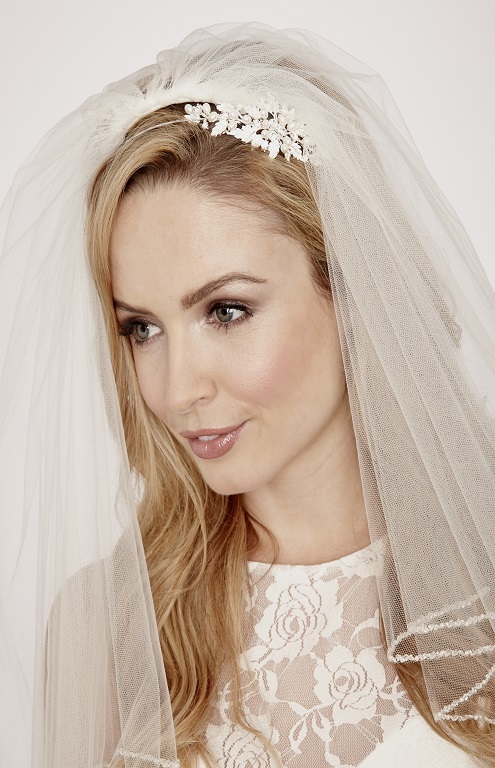 Two tier veil with a silver scalloped edge and diamante drops. 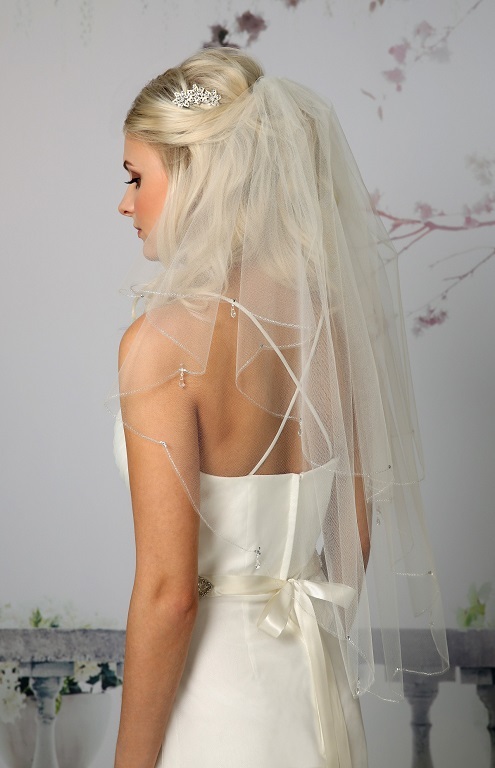 Pearl & Diamante Sidespray & complimenting earrings. 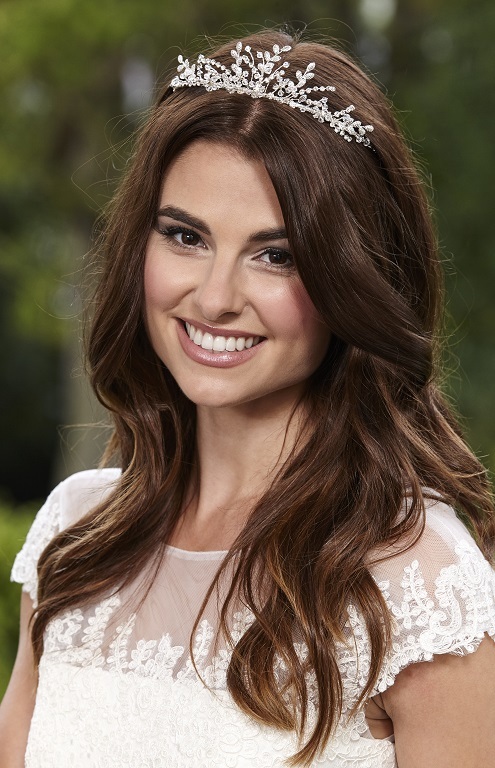 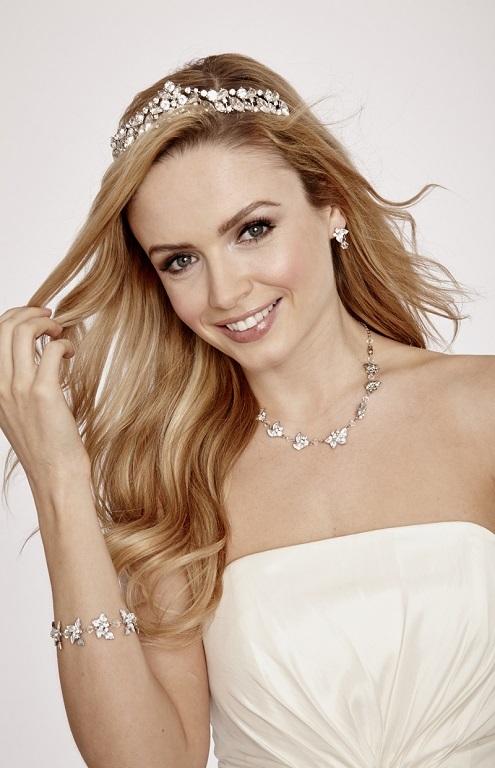 Bridal Tiara with Diamante Stones. 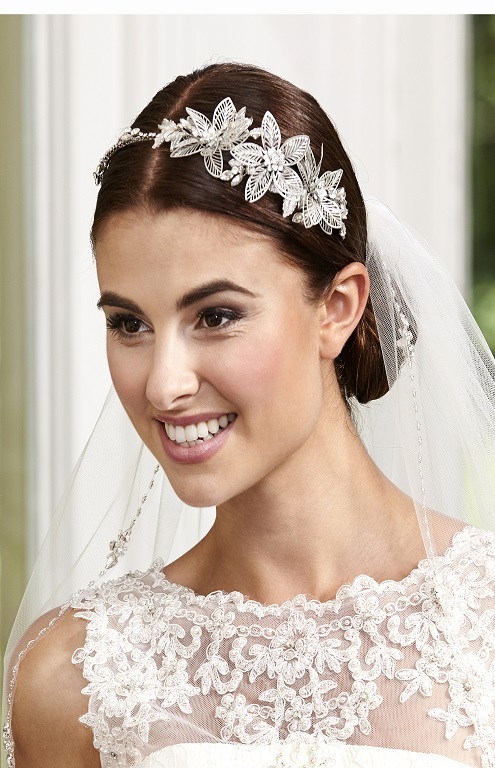 Tall Leaf & Diamante Tiara. 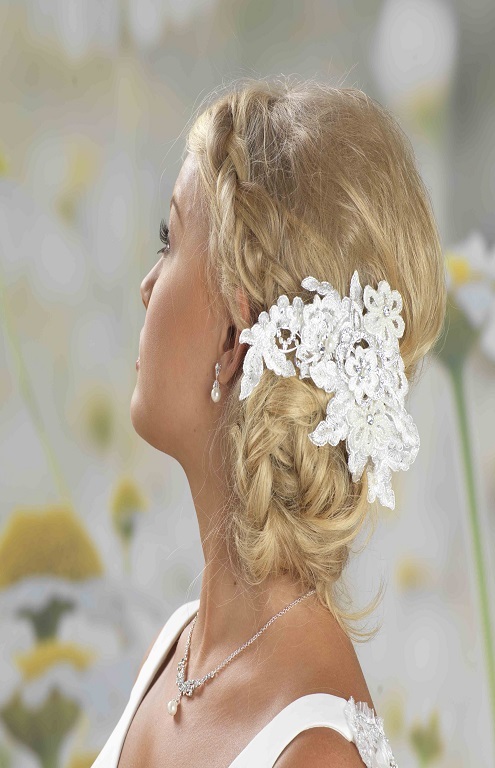 Metal Lace effect Flower Side Band. 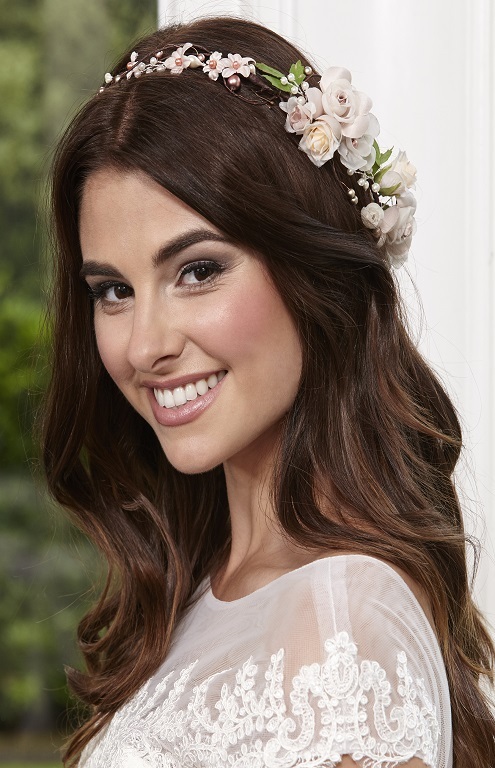 Flower, Diamante and Pearl Floral Headband.